Ah ha - the bee is perfect for that gorgeous floral paper! It's funny, I find myself turning to ovals way more now, especially for sentiments, as you have done. I think you handled it like a pro - very buttoned up! Thanks so much for playing at Sunday Stamps! Well heck Sis, for being stumped by ovals you turned out a beauty of a card! I think you have the perfect storm of florals, solids, and the sweet little bee - well it just catches the eye as the final perfect touch. Loved being able to creatively connect! So pretty! 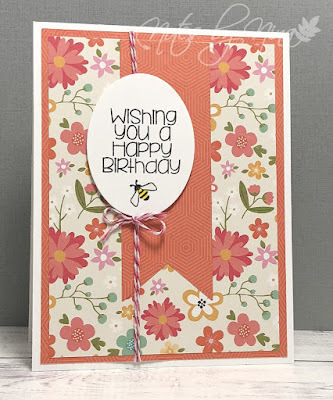 Great designer paper background, love the little bee on the sentiment too! 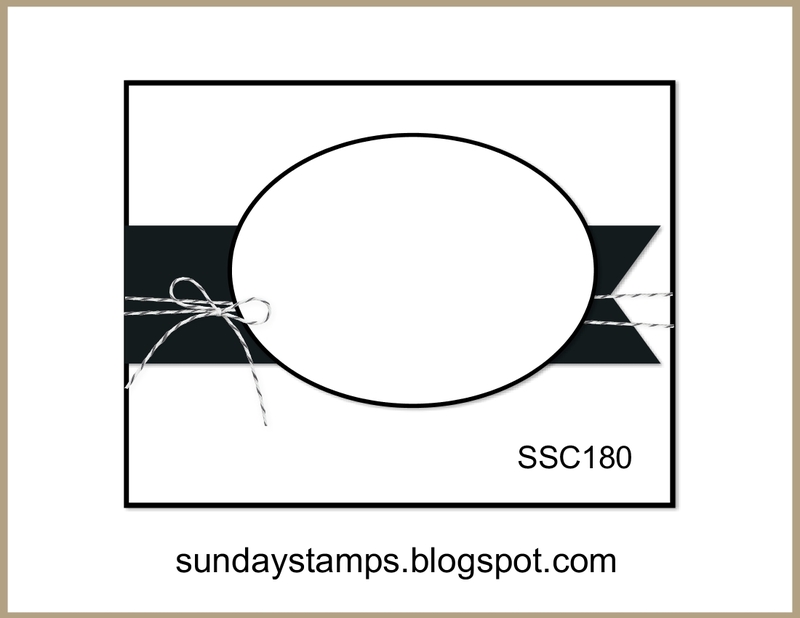 Thanks for joining us as Sunday Stamps, hope to see you again soon!